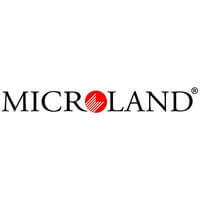 Microland scheduled Walk-in Drive for Technical Support Executive (Voice Process) for any degree graduates at Bangalore. The detailed eligibility and Microland Walk-in venue details are given in below. Should be willing to work in email, chat, voice support environment (English and Hindi). Adherence to Company policies and guidelines. How to apply Microland Walk-in Drive 2019? Interested and eligible candidates can attend drive at following venue on 15 April 2019 to 17 April 2019.